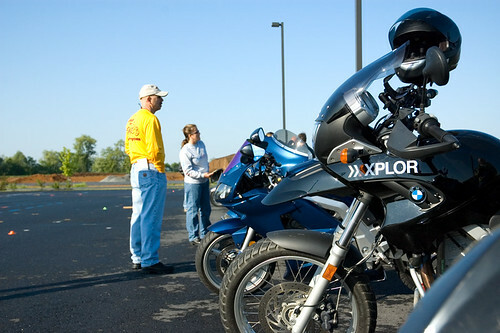 I took the Pennsylvania Motorcycle Safety Program Experienced Rider Course yesterday at Appalachian Harley Davidson in Mechanicsburg, Pennsylvania. Two of my co-workers were also taking the class. All of us wanted to become better riders and learn new techniques. It was a lot of fun and the rider coaches were very friendly and helpful. At the end of the day we road the course and were graded on our skills. I passed! Woohoo!